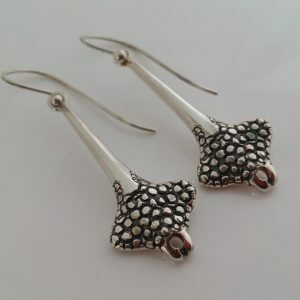 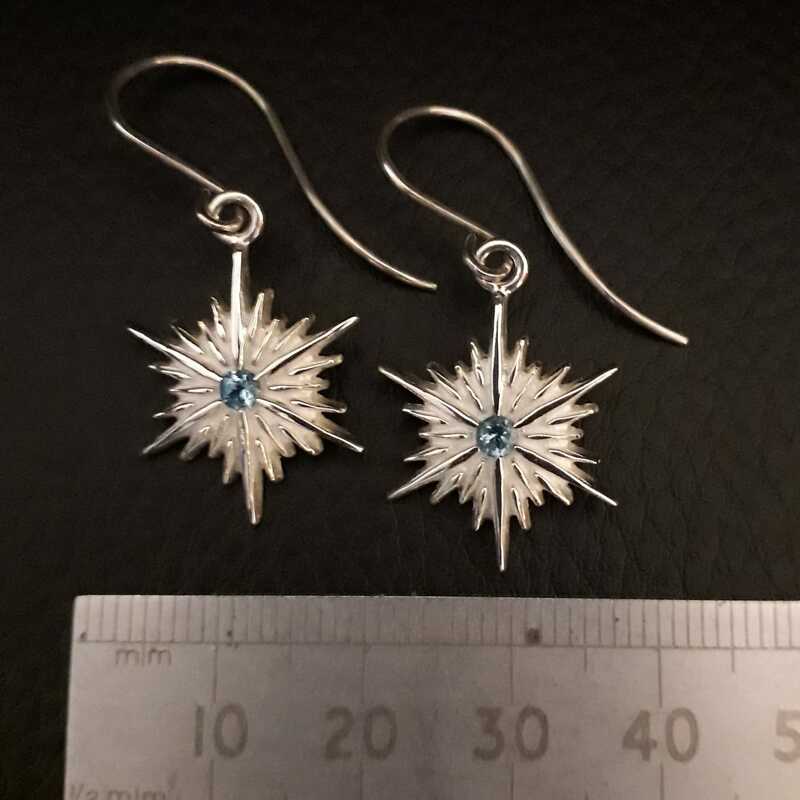 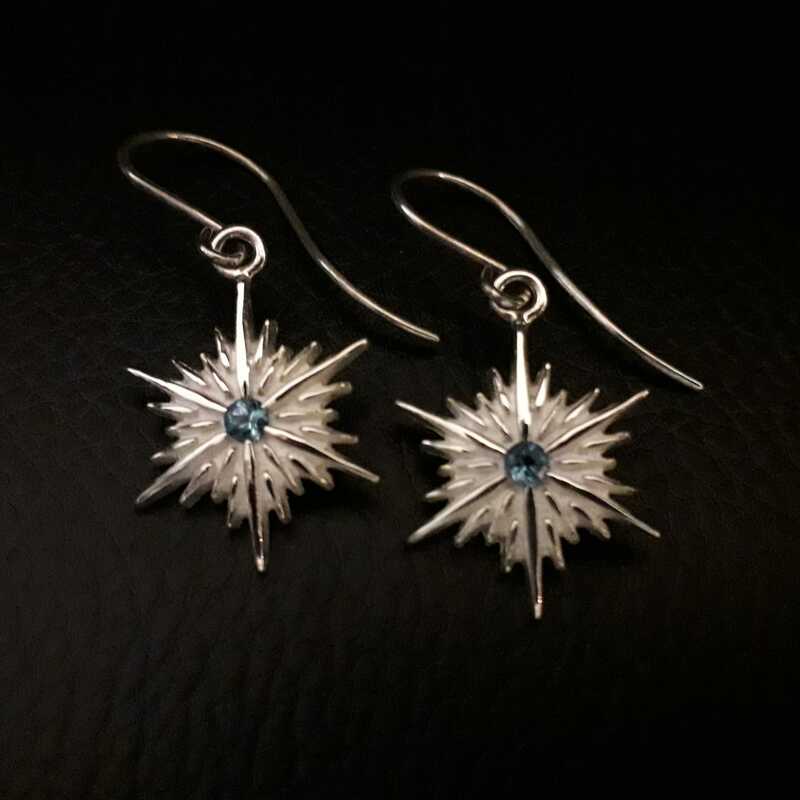 These earrings can have either a topaz (shown) or an aquamarine (paler blue) or a zircon (white). 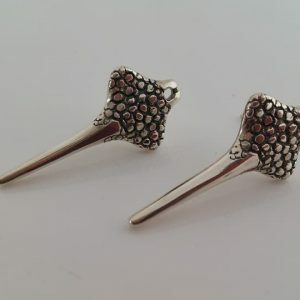 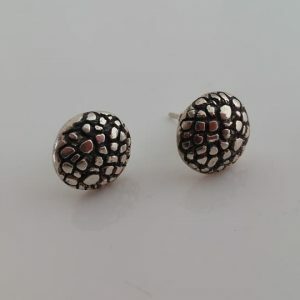 Each earring weighs 2.5 grams. It measures (from the top of the link) 2.5 cm, and is 2 cm across. These will be posted out on a first-come, first-served basis from Monday, December 17th. 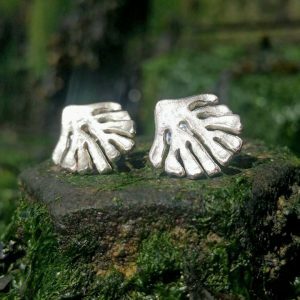 Remember, nothing is mass-produced at Front Jewellery, so you’ll have to bear with the fevered hands of the hardworking silversmith!